Thanks for stopping by and be sure to check out my blog candy post! Hi all!!! It's been forever and a day since I had a blog candy giveaway, plus I've been trying to clean out my craft room and thought this would be a great way to have these items find a happy, new home! That's it!!! I will leave this open for three weeks, so the winner will be drawn on 18 May!!!! Remember, you must be a follower of my blog to win! ;) And yes, it's open to EVERYONE! GOOD LUCK!!!! Hi! I wanted to share this card I made for the following challenges... ISSC12, RCC50, CC372. 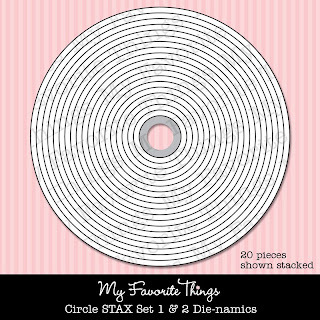 I won this set from the blog of one of my stamping idols, Jodi Collins. Sadly, I hadn't used it until today, I think. ha! Anyway... It was perfect for this trio of challenges. I colored this little guy with copics and cut into some new dp. 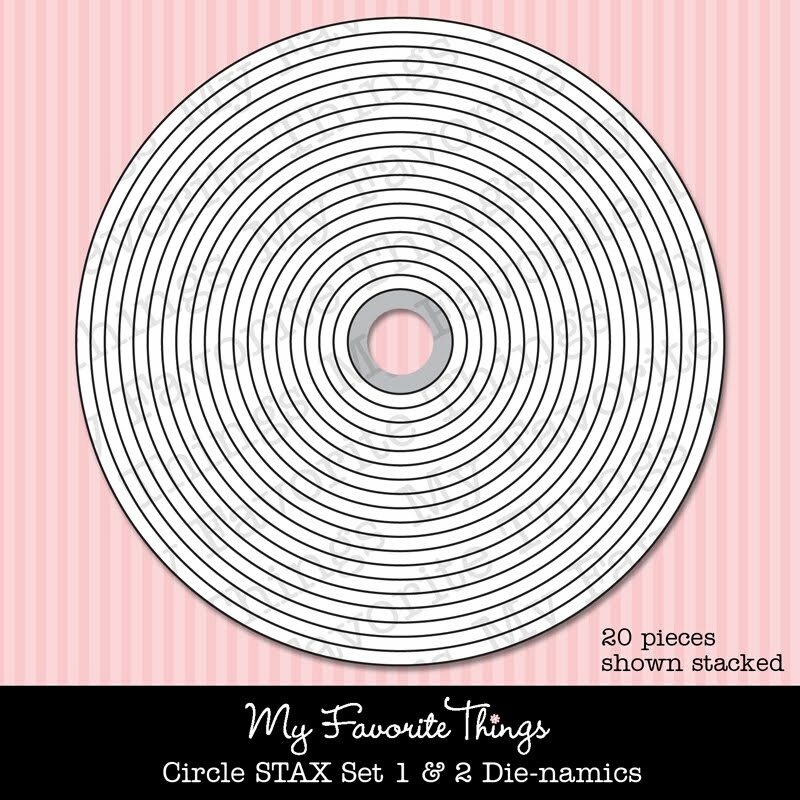 The circles were cut out using MFT Circle Stax. The long yellow strips were cut using MFT Fishtail Flags Stax. TS Monday - a color challenge!! Hi all! Yes, I'm a little late with my post. Five baseball games, to include a tournament over an hour away, in two days just messed up my schedule! I think the laundry is finally caught up (wait, does that ever happen?!)! Moving on... our challenge this week on the Totally Stampalicious blog is to make a card or project using red, yellow and a neutral. I had to ink up one of the newly release Kitchen Chickens!! Too stinkin' cute! I colored her with copics. The sketch is CPS262. 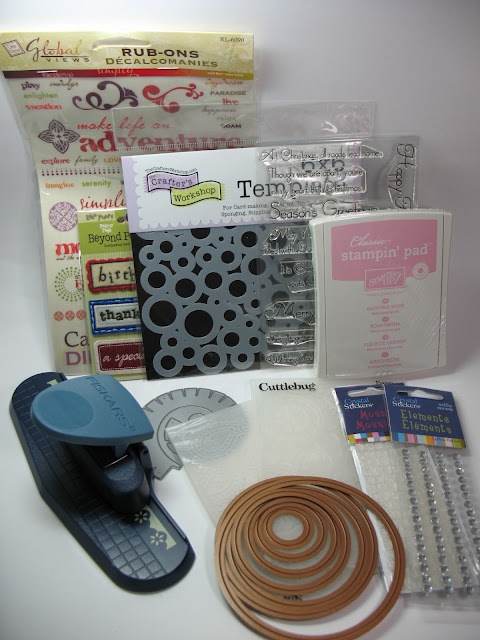 Totally Stampalicious April Release Blog Hop!!! Welcome to the 4th stop of our APRIL NEW RELEASE and BLOG HOP! We have FOUR BRAND NEW STAMP SETS from our fabulous Bugaboo line by artist Jodie Mackrell!! AVAILABLE NOW at Totally Stampalicious! As always we'll be giving away PRIZES as well to THREE lucky Hoppers!!! All you have to do is Hop along with us and leave your comments along the way and maybe YOU could be a WINNER!!!! We also have an incredible promotion going on...so even if you don't get a prize you can still be a WINNER!! Here is the entire line-up in case there are any glitches along the way!! First up, I have this card I made using Gus and Stella Anniversary. Love these guys!!! Here's a peek at the inside. Hehe!! And here, I have the piggie from Scent-sational. CUTIE!!!! Thanks for stopping by and don't forget to leave comments along the way for your chance to win a PRIZE!!!!!! Happy Shopping!!!! Hi all! Linda picked THIS CARD of mine for having the "Winning Recipe" over on the Catered Crop blog, which means I get to play with the rest of the Top Chefs this week for the latest recipe! Thanks, Linda!!! Fortunately, this week's challenge is to use kraft paper. It has been such a go-to for me lately, that this challenge was a breeze! The sketch is this week's MFTWSC68. I hadn't inked up this PI Sweet Greetings yet, can you believe! I just got this dp from the Ribbon Carousel yesterday and thought it went perfectly with her. Her top is paper pieced, everything else was colored with copics. 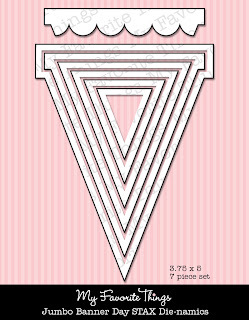 The "U" and "R" are from the Let's Toast stamp set. I used the Jumbo Banner Day Stax to make the little banner. 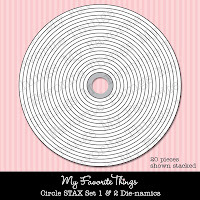 Other die-namics I used were the Circle Stax, Fishtail Flags Stax, Mini Doily Circles and the Monarch border. Here's a peek at the inside. The kraft border is the negative from the Monarch border die-namics you see above! The sentiment is from the PI Feeling Froggy. Thanks for stopping by! And seriously, if you haven't visited Linda's Catered Crop blog yet, you MUST! She's a sweet, funny lady with some SERIOUS talent!!! Hi all! Here's a card I made for this week's color challenge on SCS. The challenge is to use sahara sand, basic grey and white. The main image is from the MFT Inspired by Flowers set #3 and the sentiment is from the MFT Inspired by Flowers set #4. I broke up the sentiment so that it fit on the Mix & Match banners die-namics. I used the faux dry embossing technique for the upper panel using the Leafy Flourish die-namic. To add extra interest to the bottom panel, I cut out two different sizes of the Fishtail Flags Stax, alternated them and left the bottoms loose. I added a dizzy doily duo die-namics behind the flower to highlight it. A little bling and some taffeta finish it off! Thanks for stopping by!!! Hi! I wanted to share this card I made for the CAS (Clean And Simple) challenge on SCS. It seems that my stash is lacking in masculine cards, so I thought I would go that route. 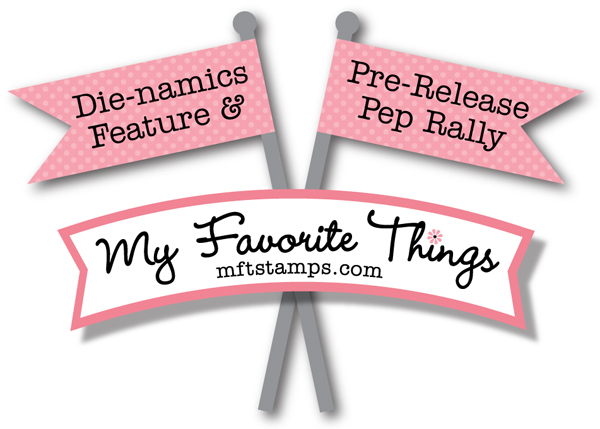 All stamps and die-namics are MFT. Hi all and Happy Monday! 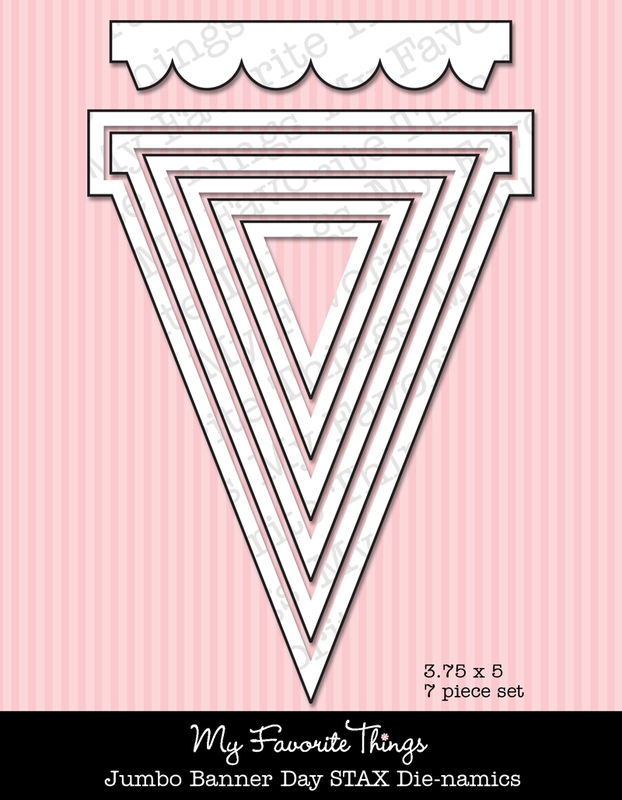 This week on the Totally Stampalicious blog, we're challenging you to do some paper PIECING!!! I couldn't pass up piecing this super cute cow from the Moo-velous set! Who doesn't love a polka dot cow with gingham spots?!!? Ha! His ears, tuft of hair, snout, hooves and the grass were colored with copics. His hair tuft was also cut out and adhered on top of the other layer to give it proper dimension. I also added some blue copics around him to really make him pop. The sketch is from The Sweet Stop SSS154. Lots of sponging and some faux stitching finish it off. Hi! I wanted to share this card I made for this week's MFT WSC67. Yet another awesome go-to sketch!!! The sentiment is from the Finishing Flourishes set. I love that they're a good size! I used the Vertical Greetings die-namic to cut it out. Then I also cut some dp with the same die-namic and cut off the ends so it sort of framed the sentiment. I just got this seam binding in the mail yesterday and knew I had to use it because it matched the dp so perfectly! And a peek at the inside. The strip on the bottom is what was left after I cut off the edges to add it to the sentiment on the front. Couldn't let it go to waste! Hi all! Just a quick post to share this card I made for the sketch challenge on SCS today. The sentiment is from the Let's Toast stamp set. I also used several MFT die-namics, as always! Hi and welcome to another Totally Stampalicious Monday challenge! This week it's all about friends. Anyone that really knows me, knows that I'm crazy about stamping! I used Stampalicious Scarlette for my card. She's colored with copics. Here's the inside... I love this sentiment, LOL! The sketch is the SSSC156. Thanks for stopping by!!! Have a great week! Hi!!! Here's my card for this week's sketch challenge by MFT! I couldn't resist using the newly released PI Dress Up Diva! I paper pieced her dress and added some shading to accentuate the slight ruffling in the bottom of the dress. I used a flicking motion to give her boa a feathery look. And who doesn't love trying on black patent leather heels?? I used the Pinking Edge border die-namic on the right side of the Fishtail Flags Stax layer. The sentiment was also cut out using the Fishtail Flags Stax. I just turned it so it cut the fishtail on both ends. Two tiny brads were added to the upper left corner. I love the tone on tone look of the button, twine and ribbon! Here's a detail shot. I used liquid pearls on the flower center and her pearl necklace. Smooch was used on the ribbon on her hat and the purse. MFT New Release Blog Hop! Hello!!! Welcome to the MFT New Release Blog Hop!!! Sooo, what did you buy?!?! ;) So many wonderful things, I don't know if I could resist! For my "last hoorah", I'm featuring the new Teacher a la mode. Those a la modes are just FABULOUS!!! I made yet another teacher gift set. Here's a close up of the card. I just LOVE it, if I may say! She was colored with copics. Here's a close up of the tag I made with the Fishtail Flags Stax. I stamped one of the sentiments directly to the canvas strip that was easily cut out with the Fishtail Flags Stax. Here's a peek at the inside of the card... yep, more Stax!!!! They're here, they're wonderful, get USED to it!!! HA! Thanks AGAIN for stopping by!!! Y'all are awesome!!! Enjoy your new MFT goodies!!! See you soon! MFT Teaser - day 7! Hi! It's here! It's here! Release Day!!! WAHOOO! You can attend the New Release Party on April 3rd from 8-10 PM EST HERE in the MFT forum, where you can enjoy fun, games, and PRIZES! 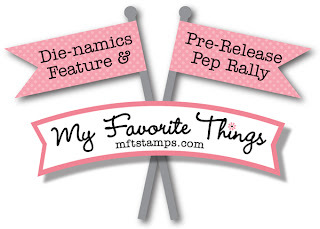 The MFT release, including all new stamp sets and Die-namics, is on April 3rd at 10 PM EST. You'll find all the newest products HERE at release time. If you'd like to see all the designers' posts for today, please click on over to the MFT Blog NOW. Be sure to leave comments as you go for the chance to win one of 2, $10 gift certificates given away daily. The winners will be posted on April 3rd just before the release party, on the MFT blog. It was hard to decide what to create for today but I finally went with a banner for my youngest son's teacher, Ms. Aniol. Once I had my paper picked out, this took hardly any time at all! It's so easy when you have so many wonderful products at your fingertips that work SO well together! Lucky me, I had exactly 14 gold eyelets to finish this off!!! Phew! 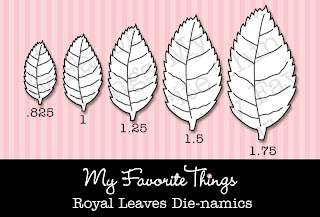 Here's a close up of the "Ms." I added some of the Royal Leaves die-namics here and there. A close up of her last name. And why not one more! TS Monday - Anything but a card! MFT Teaser - Day 6!